A scoop delivered by a regular reader on the tweed scene in Germany. 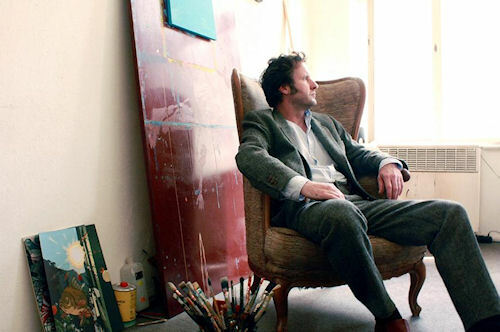 James Castle is a British designer and clothes-maker living and working in wunderbar Berlin. 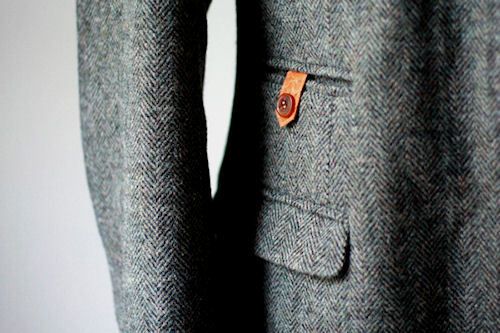 Germans, it seems, love a bit of tweed. "Inspired by the great tradition in British tailoring, James specialises in bespoke clothes that combine fine fabrics with excellent workmanship." 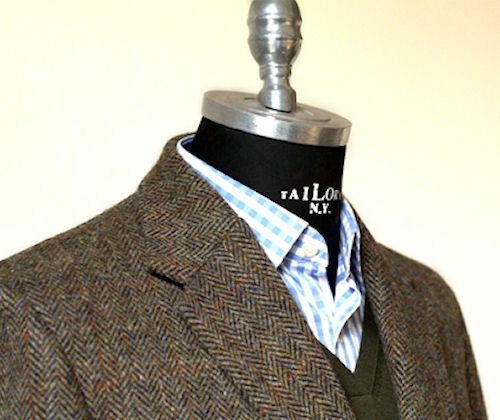 Above you can see his Crottle Harris tweed jacket, in classic single breasted, four-pocket design. James makes every piece of clothing he sells from his studio in Berlin. 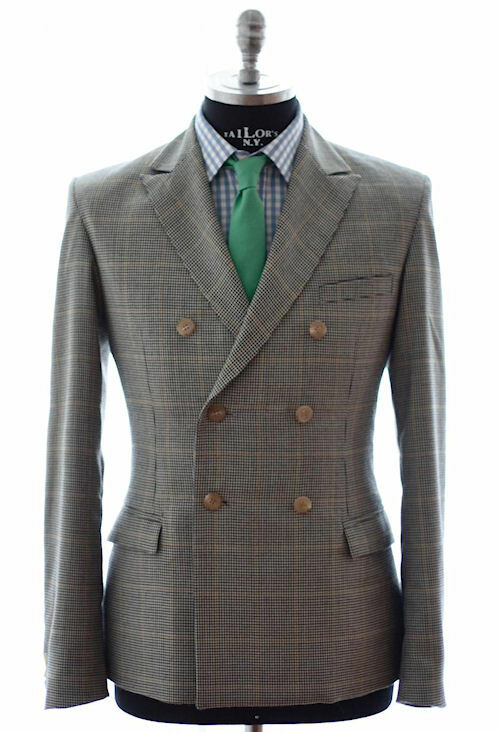 If the look of tweed is making you feel a bit hot at this time of year, although we're still shivering in the UK (typically poor summer), James also makes use of finer, lighter cloths, as with his homage to the UK's best dressed man Prince Charles, the beautiful double-breasted Charles in fine wool check below. One happy customer is British artist and fellow Berlin resident David Lotherington, famous for his mesmerising water paintings. Below you can see a tweed suit James made for David in herringbone tweed with fish leather details on the change and trouser pockets to tie in with David's aquatic inclinations. Thanks to you David. I've just been looking at the new spree painting you posted today. Enchanting.